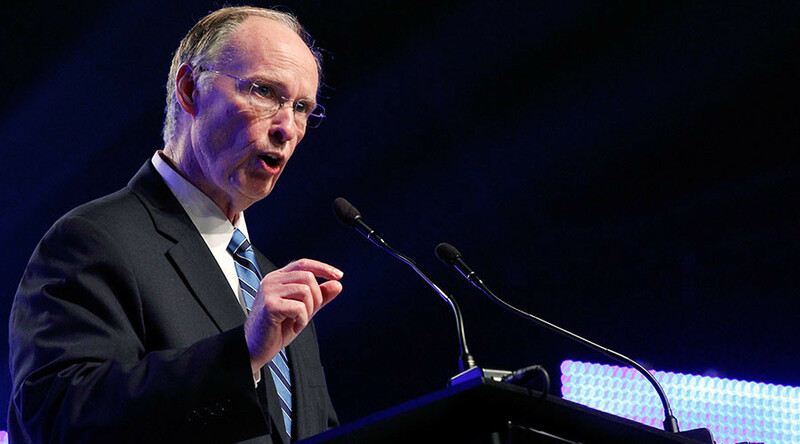 When Alabama’s new attorney general issued a statement announcing he was recusing himself from an investigation into the governor, he also revealed that the previous attorney general had been investigating the governor – a fact largely unknown. Newly appointed Attorney General Steven Marshall released a statement on Wednesday saying he would keep his promise to recuse himself from an ongoing investigation into Alabama Governor Robert Bentley (R). Marshall appointed former Montgomery County District Attorney Ellen Brooks to lead the investigation instead. Marshall was appointed as attorney general by Governor Bentley on Friday after a vacancy was left by former Attorney General Luther Strange, who had also been appointed by Bentley. Strange was then appointed to temporarily fill Jeff Sessions’ US Senate seat after the Senate confirmed Sessions as the new US attorney general. Upon being confirmed, Marshall met with the Alabama attorney general’s corruption unit to determine whether an investigation into Bentley was really underway. Marshall said that if Bentley was, in fact, under investigation, he would have to recuse himself due to perceived bias. “l have prosecuted people I go to church with, worked with, and I have had dinner with and know otherwise, but I also understand the circumstances of this appointment, and it is such people could believe I could not be fair, and if that’s the case, then it’s my obligation to recuse. And I will,” Marshall said, according to WSFA. In 2016, Bentley was accused of using state funds to pay for an affair with former staff member Rebekah Mason. The impeachment efforts began after salacious tapes were released of the governor having “inappropriate conversations” with Mason. The House Judiciary Committee for neglect of duty and corruption in office was looking into the allegations, but the investigation was said to have been taken over by the state attorney general’s office. Marshall’s recusal was the first public confirmation that such an investigation into Bentley was being conducted. The impeachment process was supposedly taken over by the attorney general’s office after the previous attorney general, Strange, wrote a letter to State Representative Mike Jones (R-District 92), chairman of the Alabama House Judiciary Committee, in November. In his letter, Strange said it would be “prudent and beneficial to delay the work of the House Judiciary Committee.” By work, Strange meant the impeachment process. “I respectfully request that the Committee cease active interviews and investigation until I am able to report to you that the necessary related work of my office has been completed,” Strange continued. Right before he met with the governor to discuss who would replace Sessions in the Senate, Strange told journalists the attorney general’s office wasn’t conducting an investigation either, the Alabama Reporter reported in December.